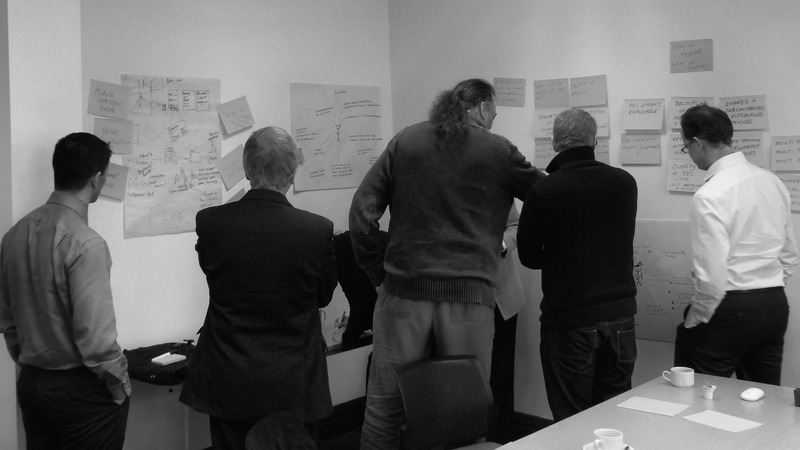 On Friday I was working with a university to work on developing their Technology Enhanced Learning Vision. The day was structured around building a vision of the future both in terms of the environment that the university might find itself operating in and the type of student that they would be attracting. The outcomes are private to the university and this is only a very brief overview. We started, as all workshops do, by introducing ourselves, but we also introduced a common understanding of what we mean by vision. In this case the common vision being created will be used as a tool to enable staff to envisage what the student experience will be like when technology is applied appropriately. It will also allow the change pioneers to develop a programme from now, the baseline, to the realisation of the vision, identifying goals and milestones between then and now. We then looked at the future, not just in terms of education but the wider environment, a PESTLE analysis (Political, Economic, Sociological, Technological, Legal, Environmental). Working in two groups and looking at a minimum 5 year horizon delegates tried to look at what the future might bring. However, there was a full discussion about student expectations of technology and the way that rather than specific technology, the nature of students’ use of technology may be more important. There many other elements that came out and the project team will be looking more fully at them as they consult with their existing students. It may even be appropriate for them to contact schools and ask for their opinions. After lunch we “warmed up” by doing a short exercise around our own roles, trying to look at what our day would be like to support the students or staff of the future. This was followed by the hard bit, the actual writing of a vision that serviced the future and would enable the university to put a roadmap in place to achieve its potential in this area. Whilst I can’t rewrite the strategy and outcomes here, I can note that emphasis was placed not just on learning and teaching. It was recognised that disparate systems and processes would be joined up to enable not just quality learning and teaching but also as means of fulfilling the “hygiene” factors that are needed to make a course run, such as assessment submissions, feedback and timetabling. There was also a strong emphasis on enabling student and staff creativity with regards to technology use and also on the support of staff to realise potential. At the end of the day the Pro Vice Chancellor joined us, he took part fully in our reflections, asking questions that enabled us to greater develop some of the higher level statements and to adapt and adjust where needed. The next step is developing a road map, and I look forward to working with them in its development. management, Strategy, workshop CLL, JISC, LFHE, PESTLE, Strategy, Student experience, vision, workshop. permalink.